Yes, but it isn’t easy. The Alaska-Hawaii dish is the preferred choice, in fact it’s the only one DIRECTV will install. It’s 30% bigger than the average dish, and you have to buy just the parts you want depending on what you want to see and how you’re going to mount it. This is a big dish that requires a stable mount, which is why you’ll need a 2.375″ mast instead of the standard DIRECTV masts. With one dish you can get the 99, 101, and 103 locations but if you need the 119 location you’ll actually need a completely separate dish because the aiming requirements are a problem. 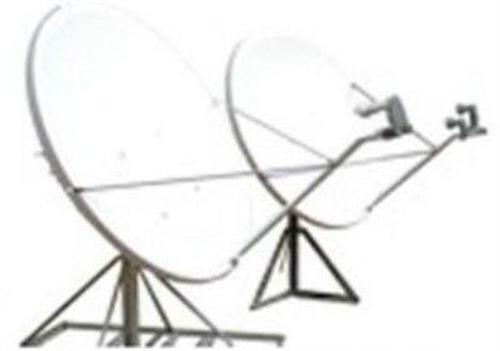 When you’re in Alaska or Hawaii, the dishes will point in two separate directions in order to get a good view of all the satellites. In order to get them all with a single dish you’d probably need a 5-meter dish which, frankly, is ridiculous. Luckily most folks will not need the 119 location. Aiming the Alaska-Hawaii dish isn’t easy; because you’re so far from the equator, you end up actually putting the dish up high and pointing it slightly downward… the curvature of the earth means that the satellite is actually slightly below the horizon. Ideally you would want the dish up on a high mast so that there is no chance of any obstructions, but then again you know you’re also going to have to deal with snow, and ironically no one makes a dish heater for this beast. So yes it needs to be high up, but then you also need to go up there to get the snow off it. If you want DIRECTV service and you’re up there in the snowy north, we can help. We have experts that can get you all the parts you need, and activate your service when you’re ready. Just give us a call at 866.726.4182 and we’ll get things started!